Situated in a prime waterside location close to where the city docks meet the River Avon, this acclaimed gastropub is housed in a former Victorian pumping station. Under the leadership of chef proprieter Toby Gritten, The Pump House provides a perfect destination for those in search of exquisite food and quality beverages, in fabulous surroundings. 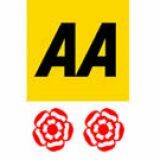 The Pump House is delighted to be included in the 2018 AA Guide, being awarded 2 rosettes for culinary excellence. We have been in the guide since 2011 and our wine list is awarded ‘Notable Wine List’. The Pump House has been featured in The Good Food Guide since 2011 and we’re delighted to be included in this years 2019 edition. Currently included in the 26th edition of The Trencherman’s Guide and proud to receive “Best bar list” in the Trencherman’s Awards for 2018. Toby was also delighted to cook for the 2019 awards.